Apart from maintaining good health and sticking to nutritious food, senior citizens today may need to be more vigilant as they could fall prey to people who want to steal their money and valuables. According to the Royal Thai Police, the number of cases in which the elderly are conned has been rising over the past five years. 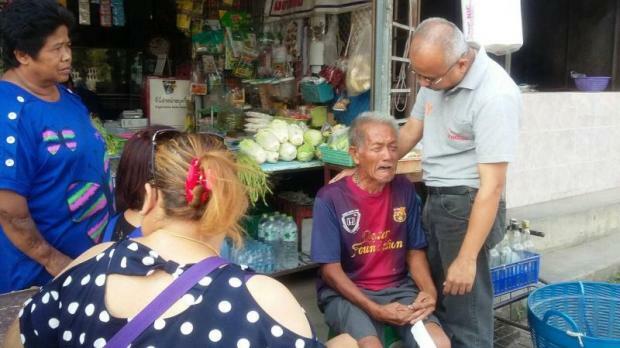 Pattaraporn Khongboon, a researcher from the Foundation of Thai Gerontology Research and Development Institute (TGRI), said as many as 70 elderly people reported being swindled during a four-month period last year, causing a loss of more than 34 million baht in total. Fraudsters tend to prey on unsuspecting senior citizens. Many elderly people were called on the telephone and lured into giving the scammers personal information, which they then used to steal money directly from the victims' bank accounts, she said. In some cases, elderly people asked people close to them to help withdraw money from their state welfare cards, but those trusted people ended up stealing the money instead. Ms Pattaraporn said that many elderly are already struggling with health problems and have to rely on others for assistance. "This dependence leaves them open to having their rights violated," she said. She said some elderly people are regularly abused, in one form or another, by their own family members, while some remarry and their partners' relatives try to swindle money from them. She said although several pieces of legislation promise to protect senior citizens, they only work on paper, not in practice, she said. She cited six studies that were conducted in 2017. In some extreme cases, old people with dementia or other psychological conditions were taken advantage of by drug addict carers who coerced the elderly into signing over ownership of their assets, which the carers then sold to settle drug debts. Ms Pattaraporn said all the studies were analysed last year and relevant academics shared the same conclusion that there are loopholes in the laws enacted to protect senior citizens, at least in theory. It was found that many close associates or immediate family members of the elderly stepped in to handle their assets unscrupulously. Although elderly people can live normal lives, their ability to make decisions about their assets is sometimes compromised because of old age, which exposes them to the risk of their rights being abused by those closest to them, she said. The academic said the civil and commercial codes indicate that children are duty-bound by law to take care of their parents who are either incapable or quasi-incapable, and they can serve as their parents' guardians. This gives the guardians the full legal power to take over the management of assets from their elderly parents, she said. Ms Pattaraporn noted that in many cases, the senior citizens want to help their children or grandchildren by being guarantors of loans for their children's business or work purposes. The elderly commonly put up their properties as collateral and when their children default on loan repayments, the assets are taken. 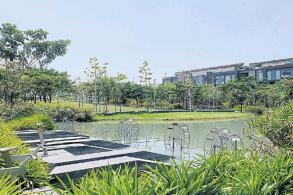 But amending the civil and commercial codes may not present a solution. TGRI secretary-general Ladda Damrikarnlert pointed out that an amendment would be technically complex and hard to implement. She suggests a new law should be passed where the full extent of legal protection of the elderly from exploitation is spelled out. "Currently, the mechanisms set out by the existing laws designed to keep the elderly safe are flawed and impractical. This leaves many senior citizens vulnerable and sometimes defenceless, as reported from time to time by the media," said Ms Ladda. She said multi-partisan cooperation is needed to address the problem. According to her, a third party or state agencies should step in to help oversee the management of the senior citizens' assets with the law reining in the elderly's guardians. Experts suggested that guardians should have to submit reports of their handling of the elderly's assets to the authorities on a regular basis for tighter legal scrutiny. 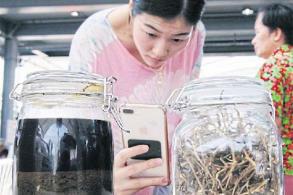 These measures are increasingly crucial as Thailand is entering an ageing society, Ms Ladda said. 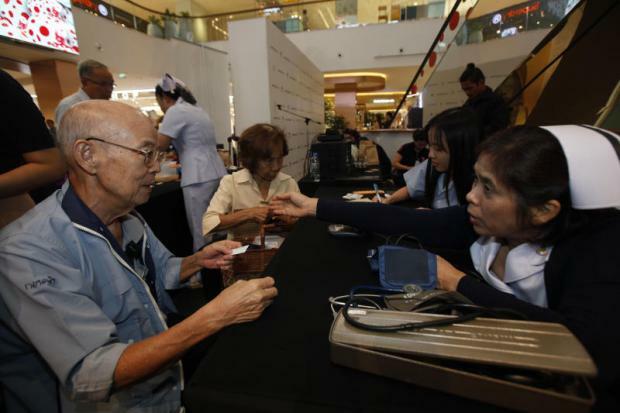 Ramrung Worawat, deputy director-general of the Department of Older Persons attached to the Ministry of Social Development and Human Security, said the elderly are expected to account for 20% of the Thai population in 2021, which marks the threshold of a full-fledged ageing society. In 2031, the elderly are projected to account for 28% of the population. She said the country must be prepared and equipped with sufficient public infrastructure and facilities to cope with an increasingly "grey society". Even though the Elderly Persons Act is being enforced to give senior citizens welfare coverage, the central content of the legislation touches on the elderly's access to welfare benefits. However, the law makes no mention of how the guardians should be regulated when they take care of the elderly's assets, she said. When the law entered into effect in 2003, the extent of the problem related to abuse of senior citizens was not as critical as what is happening now, Ms Ramrung noted. Darunee Manussavanish, director of the ministry's Social Assistance Centre, said the centre has been alerted to a growing number of families who cannot afford to look after their elderly parents. Specialists on the issue said political parties should bring policies to overcome the challenges of living in an ageing society to the top of their priorities lists, ahead of the March 24 election. They said the parties cannot ignore the issue because having more elderly people is bound to strain the government's coffers. The more the greying population expands, the heavier the financial burden will be on the government, which is obligated to provide medical care to the elderly. How far the public purse can stretch poses a concern. Fewer younger people in the workforce means less income tax flowing into the national budget, which in turn leads to a drop in state finances to sustain welfare entitlements for the elderly in the future. Ms Darunee said the centre extends help to 485 people whose families are unable, unwilling or cannot afford to care for them. The centre has heard of complaints about abuse of the elderly. In one case, a 63-year-old woman suffering from HIV/Aids, tuberculosis and visual impairment was beaten by her alcoholic husband, according to Ms Darunee. The woman, she said, ended up living alone in her house with no one to help. 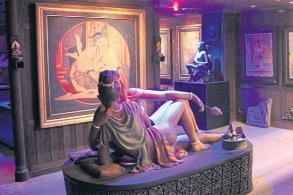 The centre helped send her to hospital for treatment. In another case, a disabled 70-year-old man gave his bank account, which he opened to collect disability allowance from the state, to a lender as collateral, Ms Darunee said. This left him unable to pick up the benefits. He is currently living with his disabled sister, who suffers from a brain infarction, she said, adding that both of them relied on food handouts from neighbours. Social Development and Human Security Minister Anantaporn Kanjanarat insisted the government is working out a solution to the plight of the elderly and strategies have been laid out to ensure senior citizens can live their lives with quality. Poranee Phuprasert, director of the office of health promotion for special population groups at the Thai Health Promotion Foundation, said fighting for the protection of the elderly will not be a lost cause although the issue cannot be swept under the carpet, given how quickly society is ageing. Campaigns must be devised to inform the public about the problem and proposals ironed out on elderly welfare and presented to relevant agencies to help deal with the issue, Ms Poranee said. "Communities must be encouraged not to ignore various kinds of violence against the elderly. 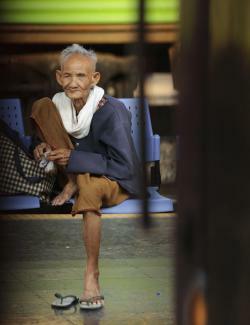 Rights must be protected to ensure Thai senior citizens are able to have a good quality of life," said Ms Poranee.